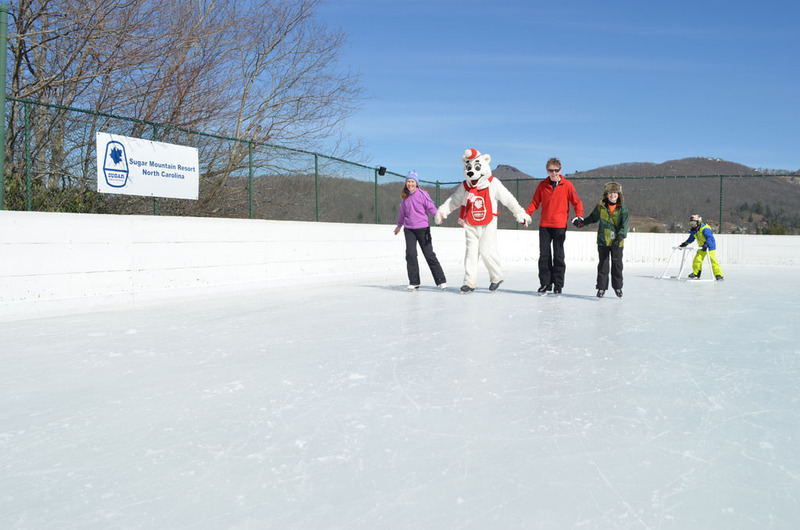 Ice Skating at Sugar Mountain Resort! Ice Skating is closed for the season. 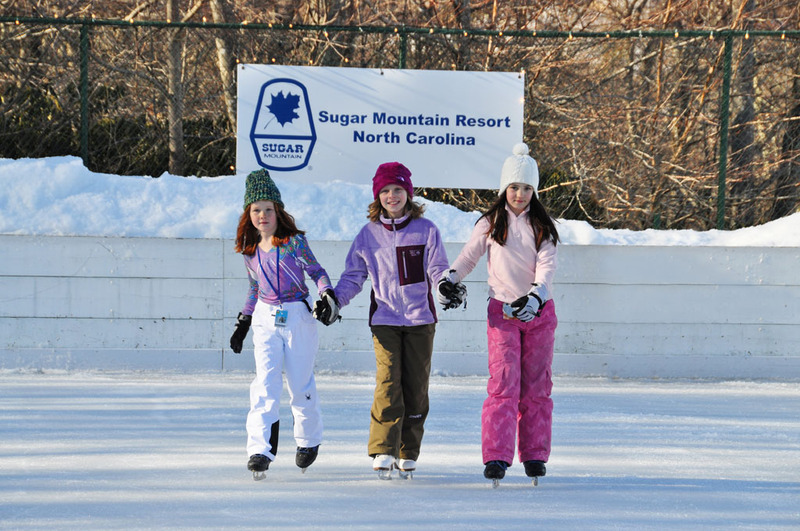 Sugar Mountain Resort’s 10,000 square foot refrigerated outdoor ice skating rink is located adjacent to parking lot D and the Tubing Park. 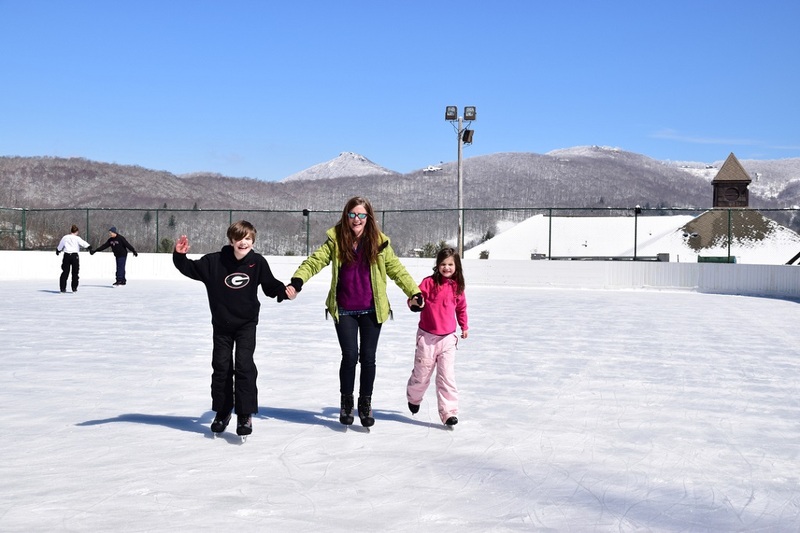 Nestled between the ice rink and the tubing park is the Dave Nixon Pro Shop which houses skate rentals, the Sugar Mountain Sports Shop Annex and a Sugar Mountain Resort restaurant. Inside you’ll find a warm, cozy spot to warm up and sip a hot chocolate or indulge in a hearty meal. Browse the Sports Shop Annex for winter apparel, unique Sugar Mountain souvenirs or last minute items such as gloves, ear or neck warmers, hats, and much more! All policies and pricing are subject to change without notice. The 10,000 square foot refrigerated outdoor ice rink is located adjacent to the “D” parking lot. Four hundred pairs of rental ice skates are available. Ticket pricing includes skate rentals. Skates are available in Youth size 7 through Adult size 14. Sessions are 1 hour and 30 minutes long and are available at 10:00am, 12:00pm, 2:00pm, 4:00pm, 6:00pm, and 8:00pm. Schedule is subject to change and will be noted on our conditions report. Skate sessions are purchased in the “Dave Nixon Pro Shop” building located between the ice rink and the tubing park and adjacent to the “D” parking lot. Ticket prices are $18.00 per weekday session for ages five (5) and up, $8.00 for K-12 school groups of 15 or more people on non-holiday weekdays, and $24.00 per weekend/holiday session. MasterCard, Visa and Discover are accepted. Children must be three (3) years of age or older to ice skate. 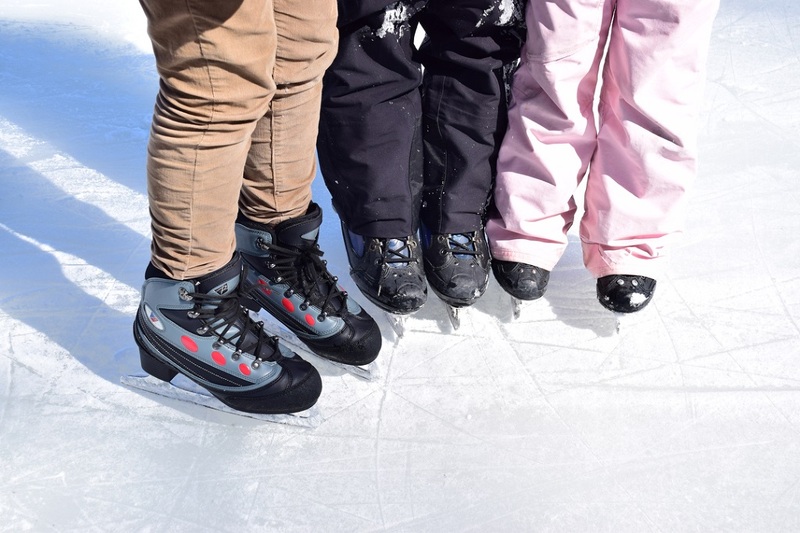 Children four (4) and under receive a complimentary skate ticket if accompanied by a valid ticketed adult. 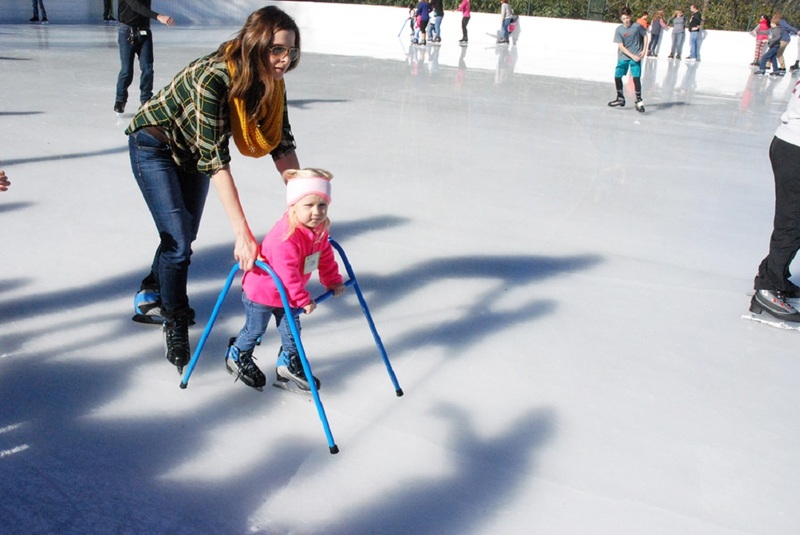 The child must wear skates and be able to skate on their own. No carrying of smaller children allowed. Tickets for each session go on sale 1 hour prior to the start of the session and are sold on a FIRST COME FIRST SERVE BASIS – THERE ARE NO PRESALES. Please call ahead if you are concerned about sessions selling out. Please call for special session bookings. All children 11 and under must be under the direct supervision of an adult on the ice (adult must be skating). All children 11 and under must have a waiver/release signed by an adult. Only patrons with ice skates are allowed on the ice rink. Conditions change as a result of weather and skater traffic. Your ice skating ticket is non-refundable and non-transferable. 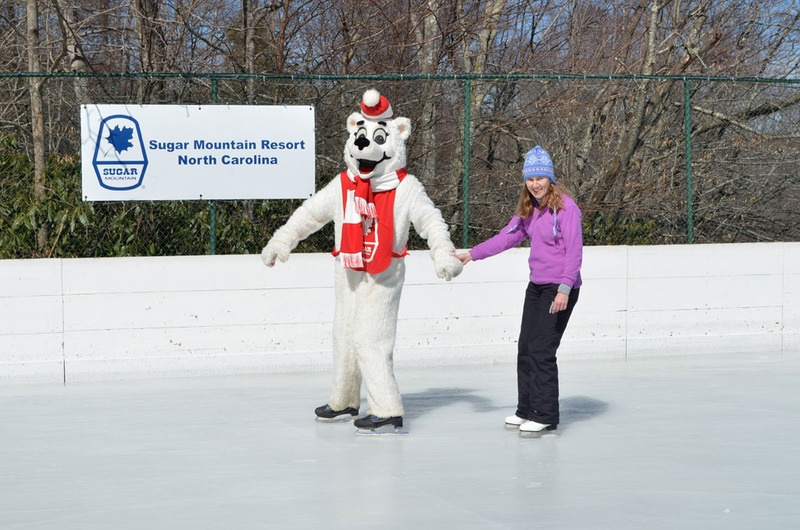 Sugar Mountain Resort does not assume any responsibility for lost ice skating tickets. No replacements. A valid ice skating ticket is required at all times to enter the arena. The management reserves the right to revoke a ticket/pass without refund at any time for misconduct or nuisance caused by the ticket holder. Please enter the ice rink slowly and carefully in addition to maintaining reasonable control of your speed and course at all times. Please read and abide by all posted signs and warnings and cooperate with the rink staff. 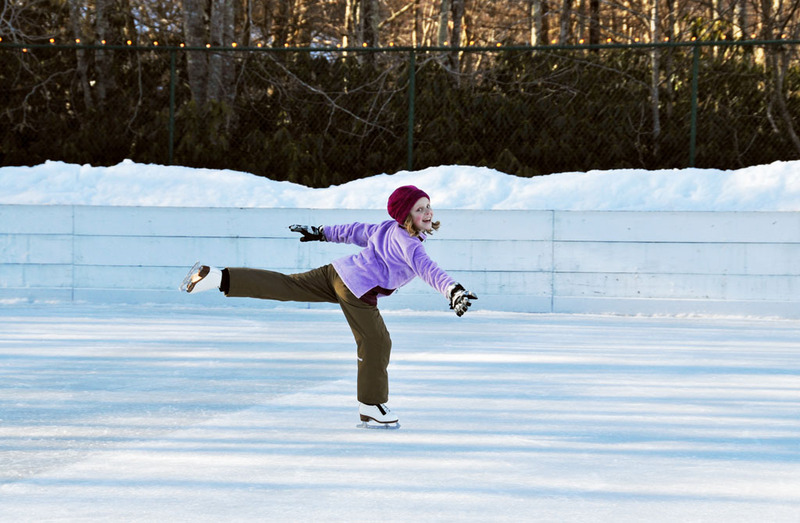 Please maintain a proper lookout to avoid other skaters, objects, or conditions on the surface of the ice rink. You are responsible for knowing the range of your ability while on skates, and for skating safely within the limits of that ability. Do not skate while under the influence of drugs, alcohol, or any other control impairing substance. Please leave the ice surface when resurfacing maintenance is taking place. 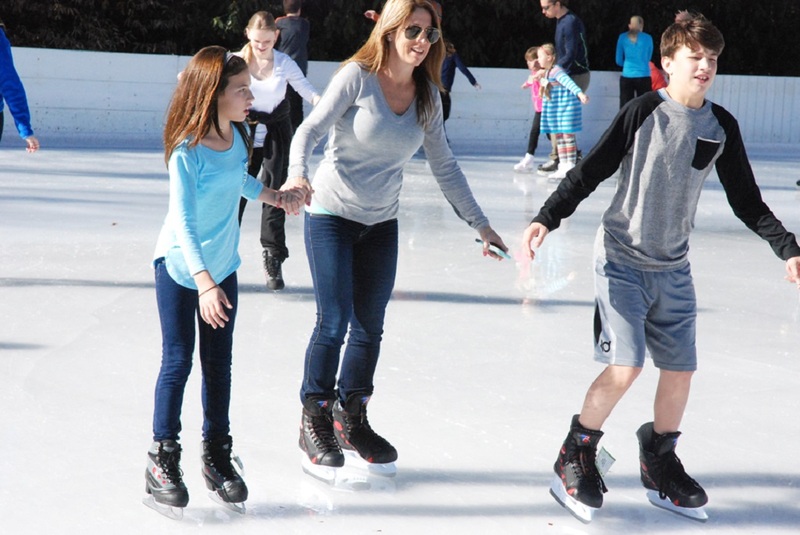 Food, drinks, cameras, and electronic equipment are not allowed on the rink surface or on the caprail. Please do not sit on or climb over the rail at any time and do not carry children on the ice. Refrain from acting in a manner that may cause or contribute to injury of oneself or any other person. This includes games such as, but is not limited to: tag, keep away, crack the whip, slalom, train, etc. The center ice area is reserved for figure skating only. All figure skating, backward skating, dancing, jumps, and/or spins are restricted to center ice and may not be executed recklessly. Rink staff reserve the right to determine who may or may not use center ice. Do not throw or leave any foreign object on the rink surface. Do not instigate or become involved in any type of altercation with any other skater and/or spectator, including abusive, abrasive, or disorderly conduct. Injuries resulting from collisions or contact with other skaters or other individuals who are on the skating surface. Injuries that involve objects or artificial structures within the intended path of travel of the skater. Ice conditions that may change over the course of the session and/or day. Our lift equipment requires routine maintenance. Although every precaution is taken; in rare cases, grease may drip from lift equipment. Sugar Mountain Resort is not responsible for grease on clothing or equipment. This is an inherent risk of the sport.